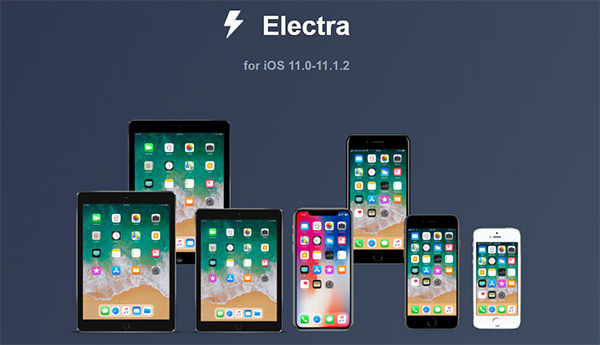 Electra ipa jailbreak toolkit for iOS 11.1.2 and iOS 11 has just been released. You can download and install it on your iPhone or iPad using the instructions given in this tutorial. 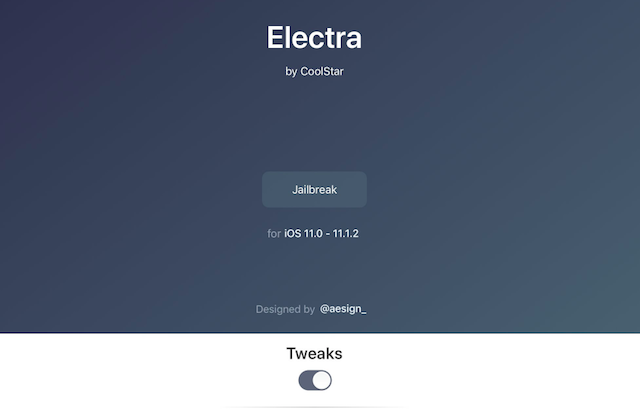 This new jailbreak toolkit known as Electra jailbreak iOS 11 is developed by CoolStar. This toolkit is intended for developers not for ordinary jailbreak user. However, if you still want to test it then let’s do it. To install this, you first need to download Electra Jailbreak ipa toolkit. Then you have to sideload the ipa file via cydia impactor as usual. Previous regular jailbreak for iOS 11 can be achieved via LiberiOS and iOS 10.3.3 jailbreak can be achieved via Goblin or Meridian. This jailbreak toolkit is compatible with every iPhone or iPad running iOS 11 or 11.1.2. Electra ipa jailbreak is a toolkit that is mainly for advanced users or developers. It gives support for jailbreak, ssh access, SCP/SFTP/Command line and anemone theming engine. Installing this on your phone is pretty easy. The Electra jailbreak toolkit is compatible with below devices. Electra jailbreak ipa can be installed on all the above phones. It has following features. You can see all the developer features of this toolkit here. A theming engine for running anemone themes. You have to load themes if you have the theme files. Preference Loader is an open source mobile substrate based utility that allows developers to add entries to settings app. It lets you add and install tweaks. An alternative to substrate. This Electra jailbreak ipa iOS 11 toolkit gives full ssh access and command line. Dropbear SSH Client, SCP/SFT/Command line. Electra Jailbreak iOS 11.1.2 will not contain Cydia. But it gives you substitute which allow you to install and run tweaks packages. Then download electra ipa on your pc or mac. Now, click on your electra jailbreal file and drag it onto cydia impactor. After you have verified the app profile. Launch the Electra jailbreak Toolkit. Tap on the jailbreak option. Your phone will be jailbroken in a moment now. That was all. If encounter any problem while installing Electra ipa Jailbreak toolkit then comment below. Share it and subscribe to our blog for more jailbreak tweaks.